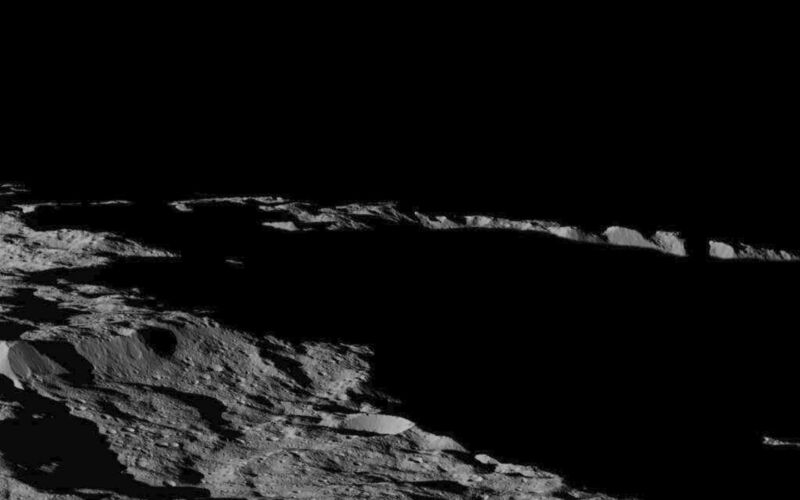 This view of Ceres, taken by NASA's Dawn spacecraft on December 10, shows an area in southern hemisphere of the dwarf planet. It is located at approximately 85.6 south longitude, 176.6 east longitude. 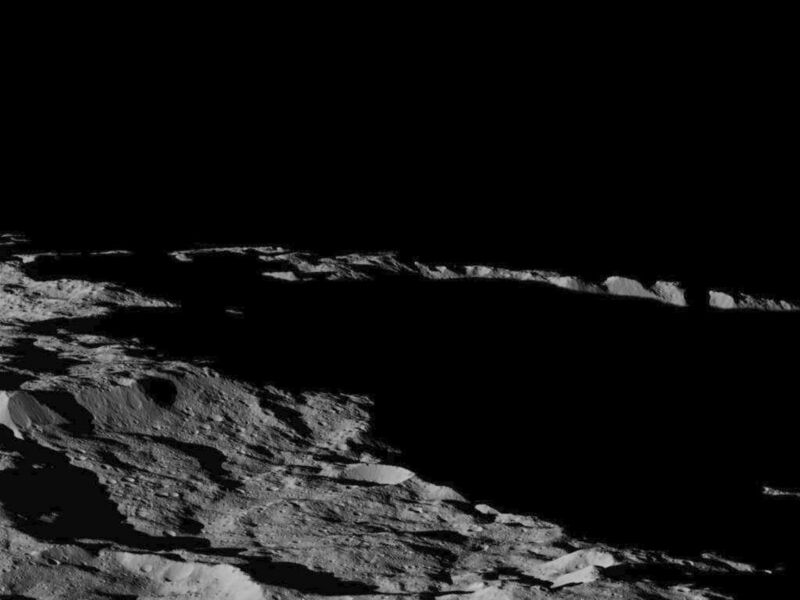 This part of Ceres, near the south pole, has such long shadows because, from the perspective of this location, the sun is near the horizon. 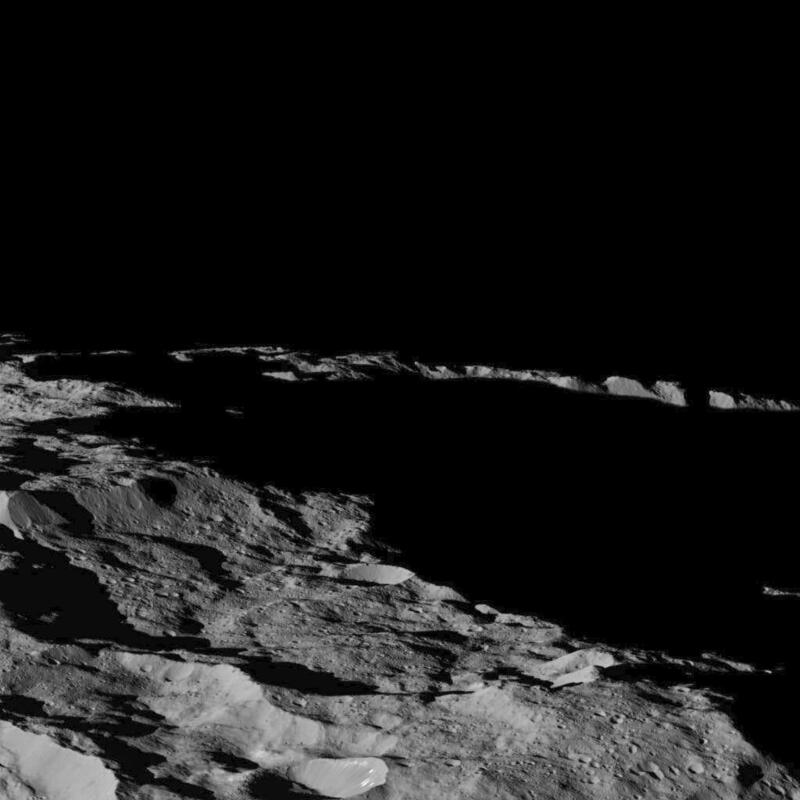 At the time this image was taken, the sun was 4 degrees north of the equator. 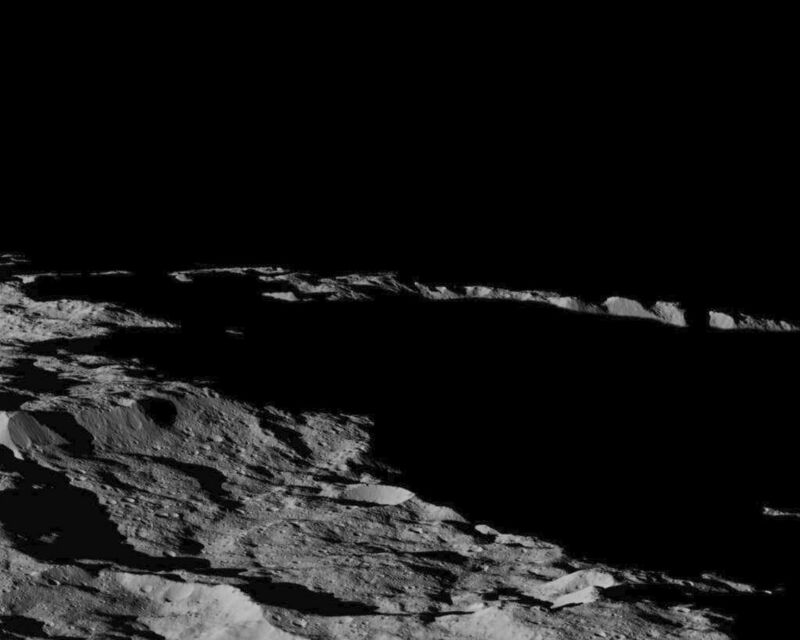 If you were standing this close to Ceres' south pole, the sun would never get high in the sky during the course of a nine-hour Cerean day.